(CBS News) A new blood screening test can potentially determine if a person is having a heart attack within one hour, a fraction of the time it takes right now. According to a new study conducted by Swiss researchers from the University Hospital Basel in Switzerland, it is estimated that about 10 percent of all emergency room visits present symptoms for an acute myocardial infarction (AMI) or heart attack. But, current methodology to read levels of cardiac troponin - a substance in the blood that signifies someone is having a heart attack - can take about three to four hours and up to six hours, using up unnecessary space and resources in the hospital and possibly delaying treatment. 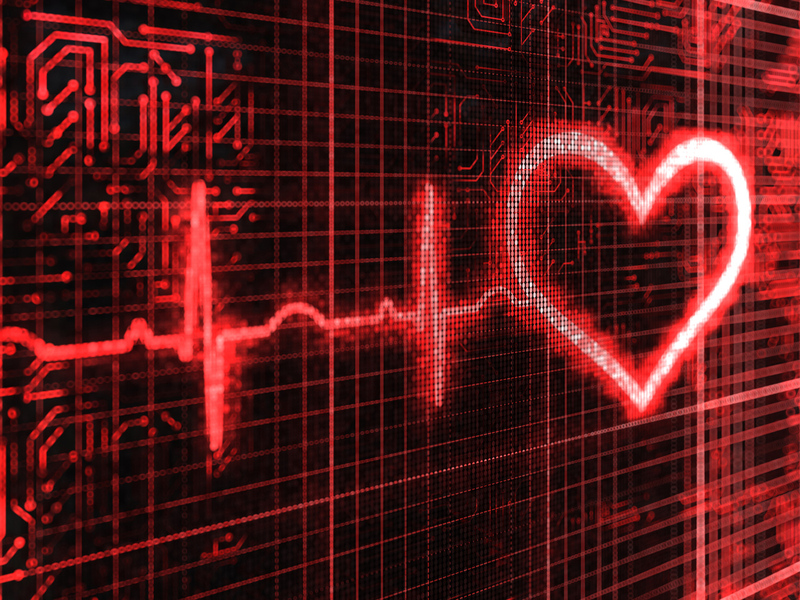 The new technology, developed and donated to the study by Roche Holding AG, was able to find out if a heart attack occurred in 77 percent of the patients within just 60 minutes from arriving at the hospital with complaints of chest pain. "The use of this algorithm seems to be safe, significantly shortens the time needed for rule-out and rule-in of AMI, and may obviate the need for prolonged monitoring and serial blood sampling in 3 of 4 patients with chest pain," the authors wrote. Every 25 seconds, someone in America is having a coronary event, and every minute someone dies of one, according to an executive summary in the American Heart Association's journal Circulation. Annual rates suggest that 785,000 Americans will have their first heart attack, and another 470,000 will have another attack this year. An additional 195,000 "silent" first myocardial infarctions occur every year, without displaying symptoms like chest pains. For the new study, which was published online in the August Archives of Internal Medicine, scientists studied 872 patients who went to the hospital with chest pains. The troponin levels of 436 patients were used to develop the algorithm, which was then tested on the rest of the subjects. Out of the test group, 17 percent were determined to be having a heart attack and 23 percent were placed under further observation. The test ruled out the majority - 259 patients or 60 percent - as heart attack-free. After 30 days, almost 100 percent of the patients who were not having a heart attack were still alive. Ninety-nine percent of the observational group and 95 percent of the heart attack group were alive as well. Dr. L. Kristin Newby of Duke University Medical Center in Durham, N.C. wrote in an accompanying editorial that this promising new test could mean that people who are having a possible heart attack could receive help quickly. "With this study, [the authors] provide an important step forward in application of hsTn [high-sensitivity troponin] as a tool for triage of ED patients with possible MI. However much work remains to develop the evidence to bring hsTn testing and the algorithms they have developed to use in clinical practice," Newby said. Newby pointed out that the formula may need to be tweaked since different factors like age may change the test's effectiveness. Newby was also worried that clinicians may not remember the exact details of the algorithm, so she suggested that clinical decisions should be aided by electronic health records so that results can be provided electronically to physicians for further analysis. "These assays are incredibly sensitive. We're still in some ways looking for how to implement them effectively," Newby said in an interview with Bloomberg. "This is a big step forward in understanding how to employ them in what can be a very confusing environment, to tease out heart attacks from many other things." Both Newby and the study researchers agreed that the tests aren't ready for wide-use especially because troponin can also indicate heart failure, pulmonary embolism, sepsis and stroke. Dr. Robert Glatter, an emergency physician at Lenox Hill Hospital in New York City who was not involved in the study, also warned to HealthDay that if doctors just look at troponin, they could ignore other pending heart problems which the substance would not indicate. "If these high-sensitivity troponin assays are widely embraced, it will likely prolong the emergency department length of stay and may potentially worsen the crowding in our nation's emergency departments," Glatter said. "They cannot be seen as the answer to our dilemma of triaging high-risk chest-pain patients when they ultimately lead to more doubt and questions down the line."